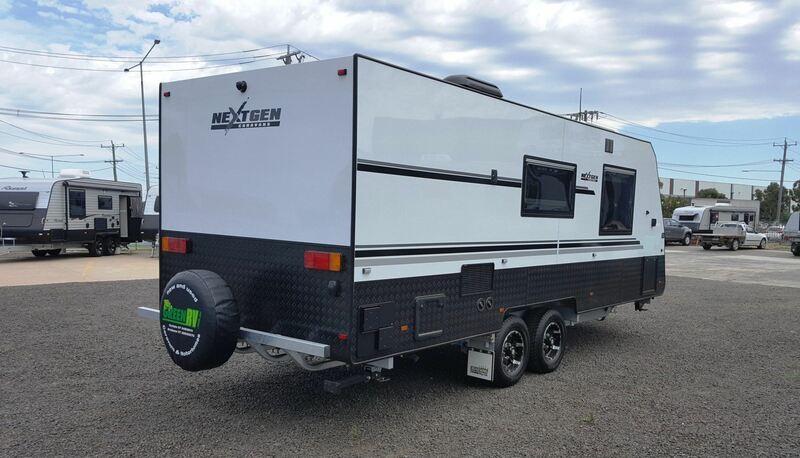 The NextGen Caravans Blackline is classed as a semi off-road caravan the perfect luxury touring caravan to enjoy towing around our great country. 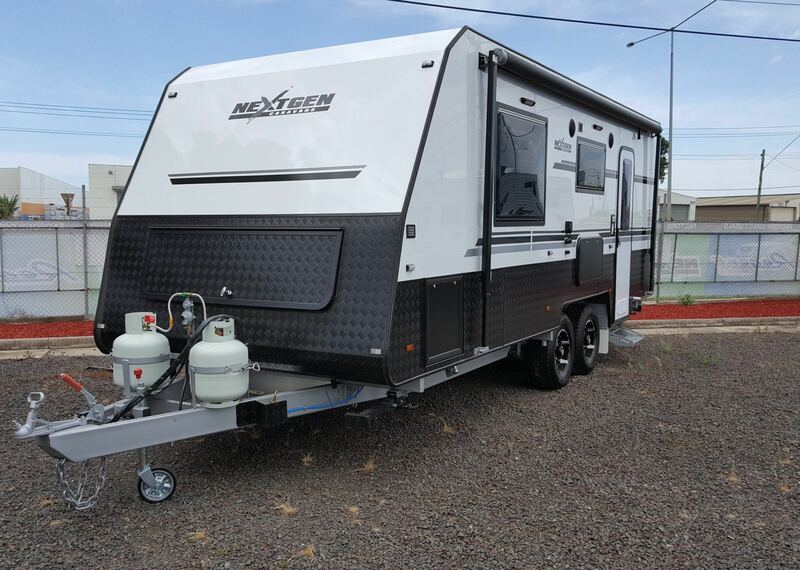 With all the needed specifications and accessories, the Blackline is sure to make your trip both comfortable and unforgettable. 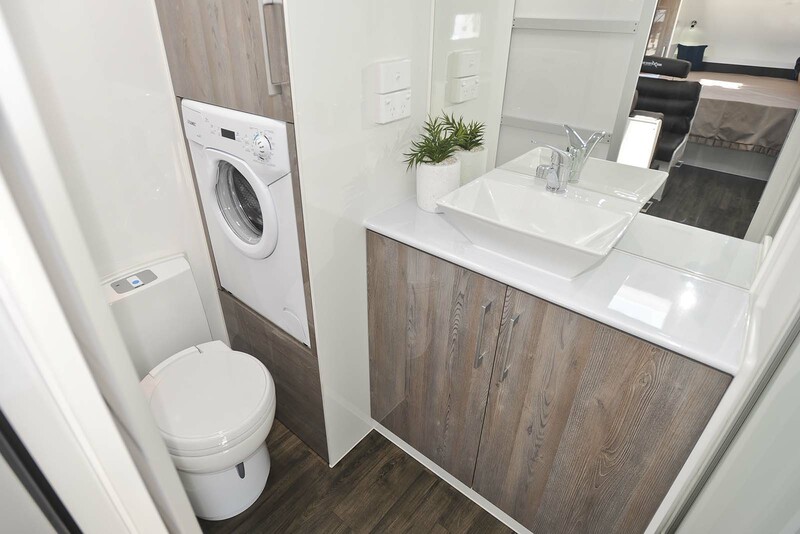 Internally, the Blackline has a superb 6’6” interior height for more head space and increased over head cupboard storage. The styling of the caravan’s interior gives it a unique look with plenty of storage space at the front. The cupboards have all been recessed into the frame for a flush, clean look. 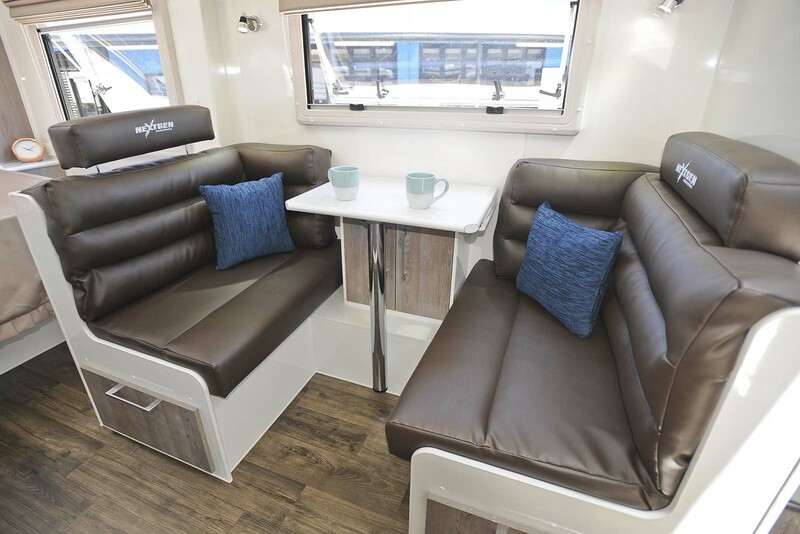 The Blackline’s customised lounge and furniture, made on our CNC machine (which guarantees its quality and strength) give the cabin added style. All of the post form bench tops give a clean, new century feel with a recessed stove for extra bench space. 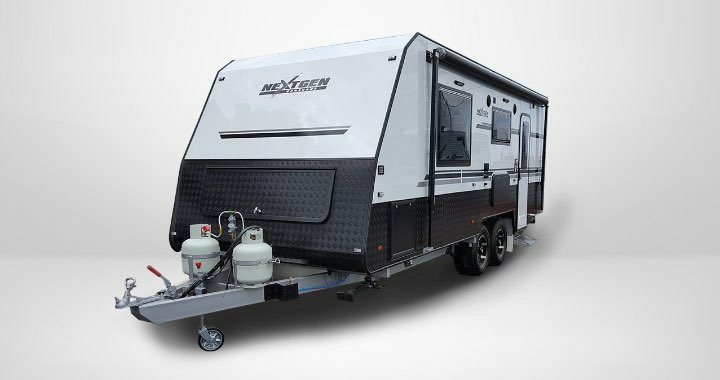 The exterior of the Blackline includes silver external cladding, black powder-coated checker plate, front stone guard and sides, along with a 6 inch chassis and a-frame paired with a 2 inch raiser and 15” 235 wheels for clearance. 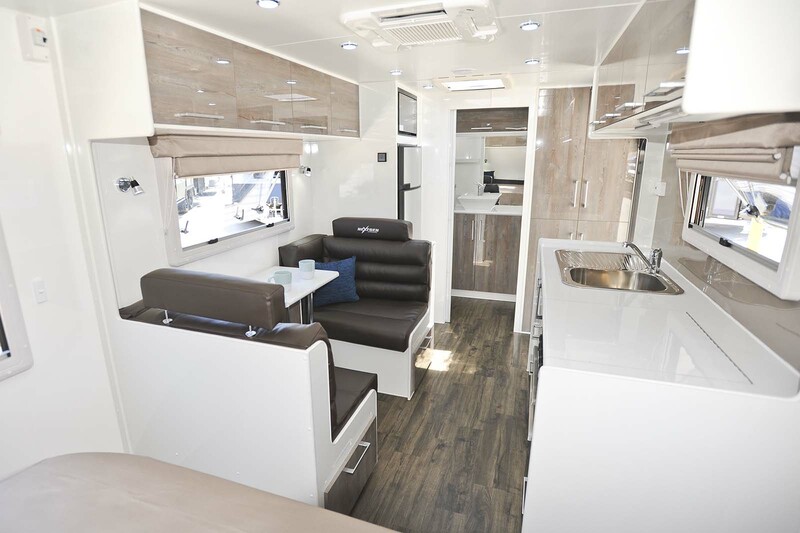 The Blackline’s styling ensures you look the part with that distinctive NextGen Caravans feel.